Cambridge Centre Honda is committed to giving back to our community of friends and neighbours! Each month, Cambridge Centre Honda will donate $10 per customer test drive, in support of a local charity or community organization. Present the Test Drive for Charity voucher to your Sales and Leasing Consultant before you take your test drive, and Cambridge Centre Honda will increase the donation to $20! At the end of every month, we will present a cheque to one of twelve deserving local charities or community organizations that we have invited to participate. But we can’t do this without your support! From Monday, April 1st 2019 to Tuesday, April 30th 2019. All funds raised will help support The Cambridge Humane Society. Print the Test Drive for Charity Voucher (below), or present us with the digital voucher (below). Click here to Book your Test Drive at Cambridge Centre Honda, between: Monday, April 1st 2019 to Tuesday, April 30th 2019. Present your Cambridge Centre Honda Sales and Leasing Consultant with the Test Drive for Charity Voucher, printed or digital. To Print: click on the link above, and follow your website browser’s printing instructions. 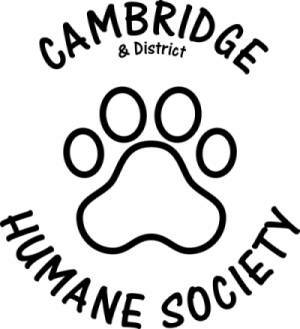 Thank you for your help in supporting The Cambridge Humane Society through local charities and community organizations!